Reach New Homeowners & New Residents when they are new to the neighborhood. Once you get them as customers you have a good chance of keeping them as loyal customers for as long as they remain in your area. It's much easier to get new people to try a business for the first time, than it is to get them to switch -- Think about that for a minute. 70% to 90% of new move-ins are families new to the area. These are families WITHOUT established buying patterns. New move-ins spend 8 to 10 times more money for goods and services than established residents. 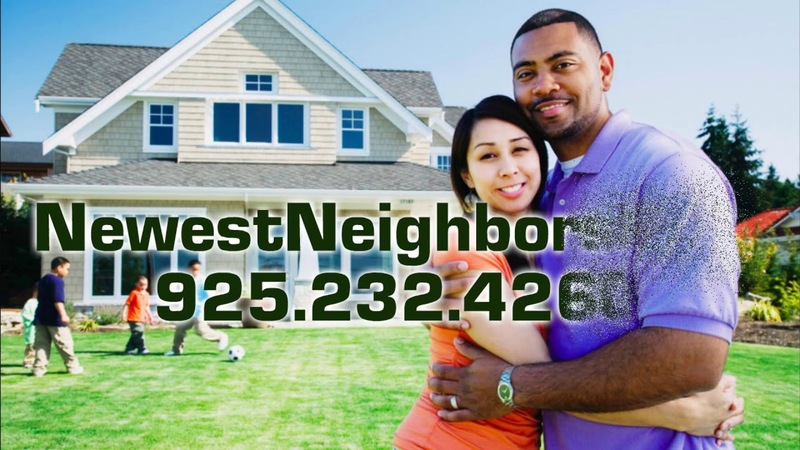 925.232.4260 Grow your Business by reaching New Homeowners & New Residents with Direct Mail. They are ready to buy your products & services. They spend an average of 8-10 times more than an established resident over a two-year period. only $49 per Month per City! Each additional city only $39. Price includes mailing list and consultation. Does not include printing or postage. Only valid at Newest Neighbors. Yes! Send me more offers from Newest Neighbors and www.smartshopper925.com!